Despite having experienced some of the driest seasons of late, the farmers of the Mamanyuha village community are celebrating their first three harvests from the Enhancing Food Security through Climate Smart Agriculture project. Mamanyuha village is situated in the Mopani District, Limpopo Province. It is generally a water scarce region, however the last ten years have been some of the driest. The extreme temperatures and erratic rainfall have led to a loss in agricultural productivity. This has been problematic for the predominantly rural communities in the area who depend on subsistence agriculture. Ramotshinyadi HIV/Aids Youth Guide is an organisation, which provides health, social and community development services to people infected and affected by HIV/Aids and other chronic ailments. Wanting to bring more nutrition to children and vulnerable families during these extreme climatic conditions, they saw the need for a project that would help reduce food insecurity. Drawing financial resources from the Community Adaptation Small Grants Facility project (funded by the Adaptation Fund) and expertise from the project management team, Ramotshinyadi strove to establish a climate smart food garden. The garden planned to use agroecology and water saving techniques in order to provide sufficient fresh produce to support the household needs of identified families in Mamanyuha village and strengthen the community resilience to climate change. They achieved this by taking a number of key steps. Firstly, as they had not previously worked in this area, they collaborated with a local organisation, Mamanyuha Home-Based Care, to ensure buy-in from the local stakeholders. In addition, they consulted with local leadership who provided the land for the project. Following, they brought in an agroecological specialist to provide training and mentorship over a 6-month period. 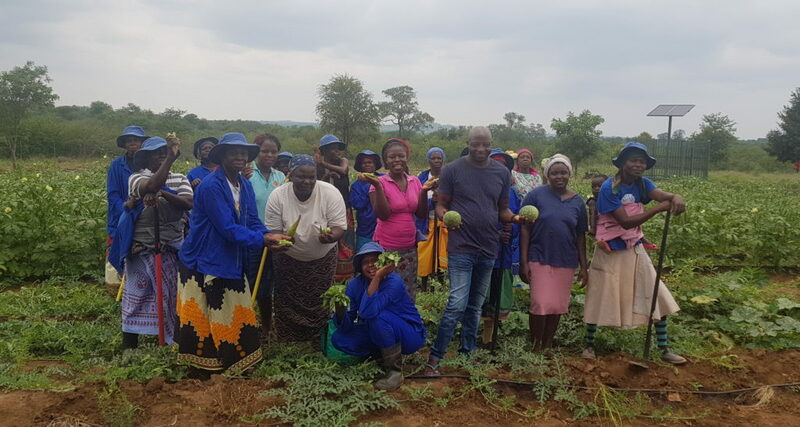 The training included crop rotation, compost making, mulching, trenching, green manure and organic pest and disease management in order to help build soil, and improve water retention. They then installed a water-saving drip irrigation system and built a poultry house. Ramotshinyadi in consultation with stakeholders identified vulnerable farmers including women, youth, the elderly and people living with different chronic ailments including HIV/Aids to be project beneficiaries. 24 out of the 27 beneficiaries selected were women as in the area women carry the load of caring for the household but are more likely to be excluded from other forms of employment. The project got off to a delayed start due to the lengthy approval process for the construction of the poultry house and acquiring the necessary water-use rights. According to Farai Hove from CHoiCe Trust (the project facilitating entity), it was difficult to keep momentum during this time “the farmers thought that after the selection they would be able to get going, they didn’t realise they had to register the borehole, get approval for the poultry house and receive training on agroecology first.” While they received the money for the project in October 2017, they were only able to start planting over 6 months later. 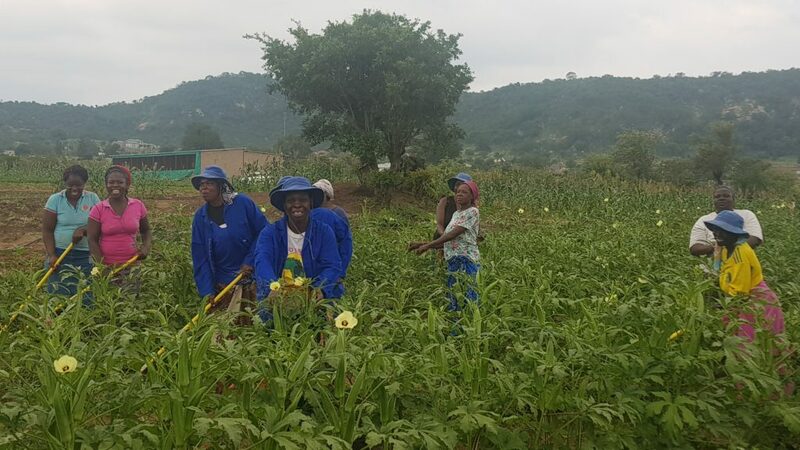 As a result the following harvest, in December 2018, the farmers received more produce (maize, chickens, green leaf vegetables, tomatoes, cabbages and onions) and an even bigger income (amounting to R470). An even bigger success occurred with the most recent harvest in January 2019. 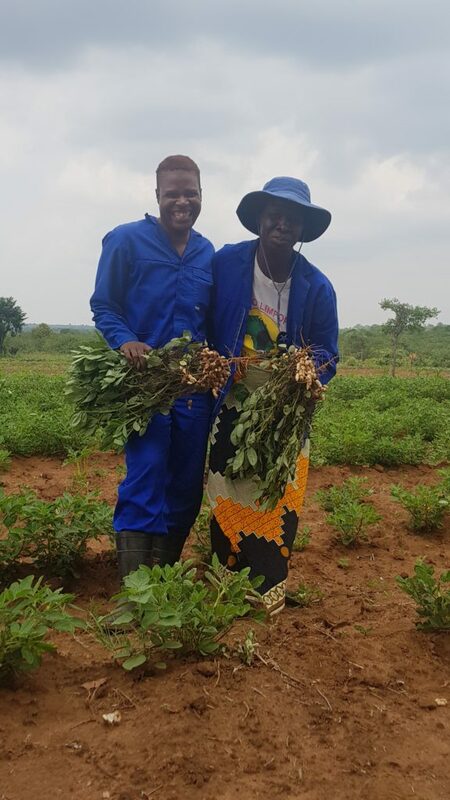 The farmers were delighted with the success as Dikeledi Mamanyowa, a project beneficiary explained, “I am feeling smart and happy seeing the vegetables and chickens growing in these dry conditions. This will address poverty and food insecurity in the community”. But the benefits of the project extend well beyond food security, as Rosinah Mathiba, another beneficiary exclaimed, “through the implementation of this project I can already see myself finishing up the renovation of my two roomed house and making more money to finance other household basic needs. I sleep knowing that tomorrow I have somewhere to go and improve my livelihood”. The project keeps growing from strength to strength. The farmers are now cultivating the entire piece of land and, motivated by their success, took the initiative to develop a seed bank. 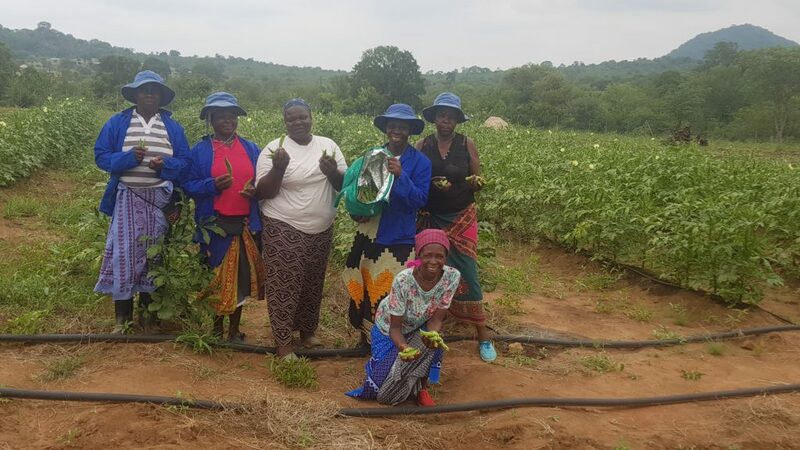 While initial licensing caused delays in the project, the process was able to teach Ramotshinyadi and the project beneficiaries to comply with the law with regards to necessary farming infrastructure, skills that will benefit them as they continue to expand their farming efforts. Finally, while Ramotshinyadi achieved its aim to bring more food security to the vulnerable families it worked with, the project has began to self-seed elsewhere as farmers in neighbouring villages have been inspired to adopt agroecological climate smart techniques.